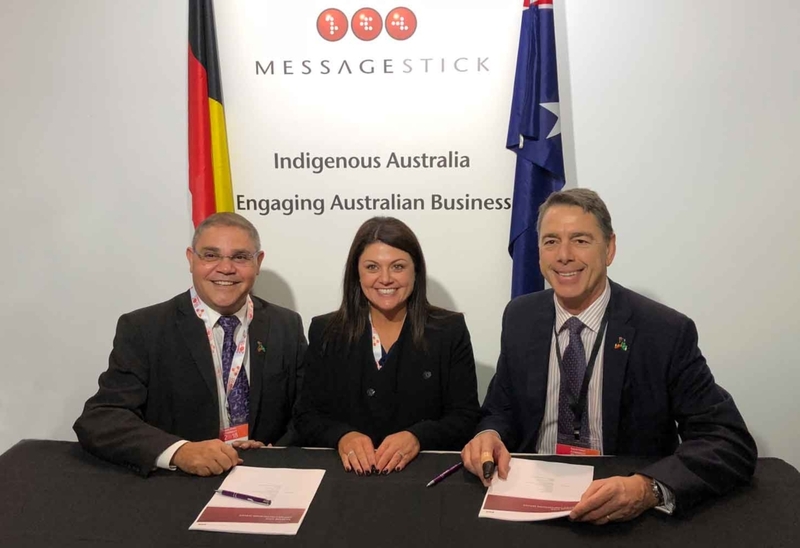 (left to right) Michael McLeod, CEO – Message Stick, Laura Berry, CEO – Supply Nation and Rob Cutler, CEO – Clayton Utz at the Supply Nation Connect 2018 Tradeshow. Signing Ceremonies are a great opportunity to reflect on the achievements made by signing this agreement. Message Stick are very proud to continue to provide Clayton Utz our conferencing service and look forward to continuing the relationship for years to come.